Cocktails enrich our world of beverages in a colourful and fun way. After a dinner with wine, a Mojito or Strawberry Daiquiri feels right. But who said that it has to end here? 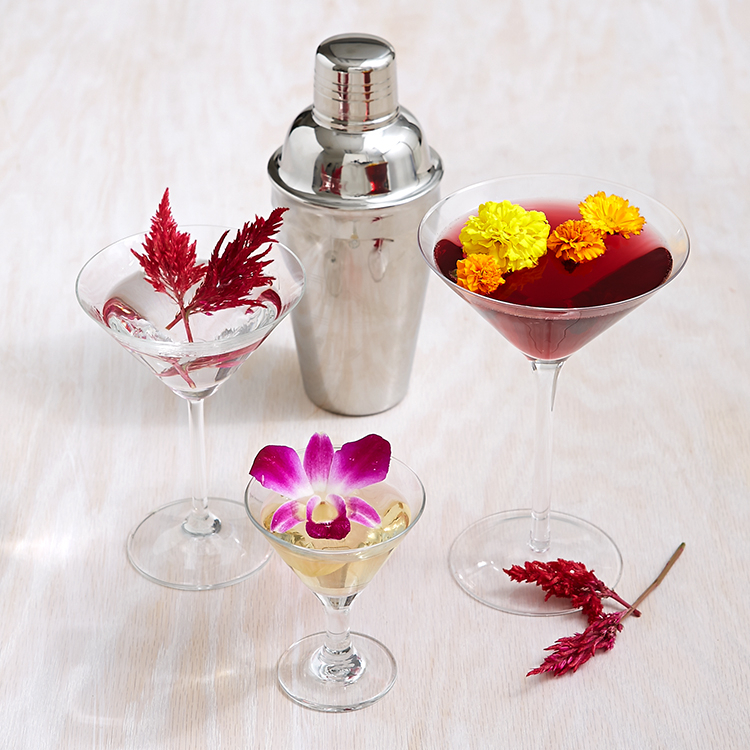 Cocktails have long ago turned into a magic science called Mixology through which barkeepers – or mixologists – all around the world aim to find the best combination of taste without limiting the wide range of possibilities. At Uvinum, we are always looking to share new discoveries, exciting drinks and invite you to dive into this fluid universe with us. But above all, enjoy my three favourite cocktails for this spring. Run one lemon wedge over the rim of a highball glass and dip the rim into sugar. Save this wedge for later. Put the remaining two lemon wedges into the cocktail shaker, then add the syrup and the vodka. Muddle hard to break the lemon skins and release their oils, then cover and shake. Now put some ice into the highball glass and pour the cocktail over. Top off your drink with some club soda, squeeze the first lemon wedge before dropping it into the cocktail. Garnish with the thyme sprig and serve immediately. The easy classic for any occasion: Put the ingredients into a shaker and add some crushed ice. Shake hard and strain the drink into a chilled cocktail glass. Garnish with a fresh lemon or orange wedge. The Sake variation of a classic Cosmopolitan. Pour the ingredients into a shaker filled with ice. Shake it well and strain the drink into a chilled cocktail glass.